Yes, I can sense the readers of this entry promptly throwing in the towel, giving up on life itself at simply reading the name of such a creature. Let the idea that Mother Nature is a nurturing, caring force be put to bed immediately, for evolution has crafted the cruel curveball that is the hooded tickspider; equipped with all the charm of a blood-gulping, parasitic tick, and the charisma and affability of a spider. Why even bother leaving the house at this point, what with such unholy, Dr. Moreauian amalgamations walking around? What’s next, cobra-tigers? Leech-sharks? Manbearpig?! 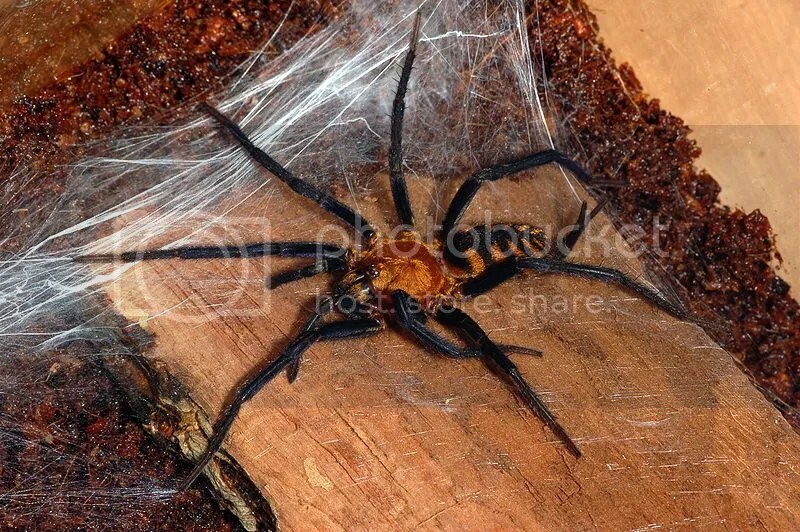 While it is certainly anxiety-inducing to contemplate an animal that seemingly exists as two highly-loathed arachnids essentially smushed together, as if done so to be an entry in a competition to generate the most unsavory Doritos Collisions flavor marriage of all time, in reality, this isn’t the case at all. Just as antlions are neither ants or lions, and dragonflies aren’t dragons, and aren’t really ‘flies’ either, the hooded tickspider represents a unique breed of creature, distinct from both ticks and spiders. 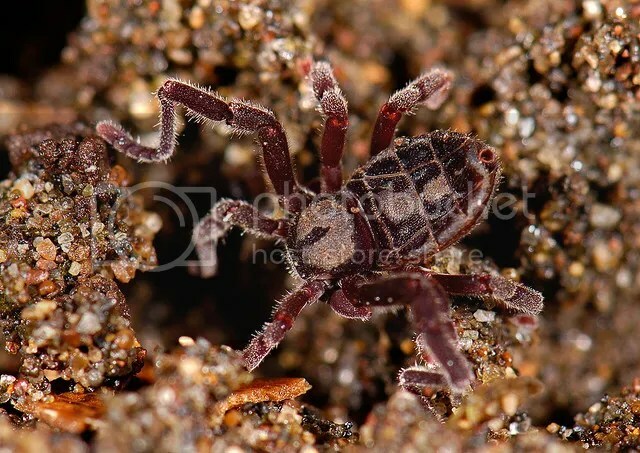 Hooded tickspiders belong to a small order of arachnids; Ricinulei. There are about sixty species worldwide, making Ricinulei currently the least speciose order of arachnids, but more species are discovered as the years go by. 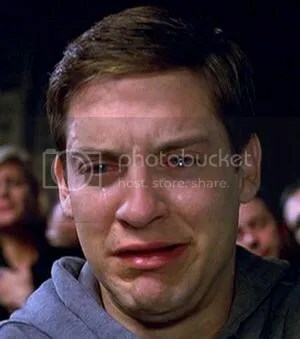 If you are breathing a sigh of relief as horrific imagery of web-weaving blood-suckers with no other mission than to patiently wait for you underneath the lip of your toilet seat peacefully leaves you, don’t get ahead of yourself. While hooded tickspiders are no threat to people (for a number of reasons related to their anatomy and extreme cryptic nature), they definitely provide enough innate, unnerving creepiness to make up for it. Given the miraculous chance that you would encounter one of the few dozen species on Earth in the wild (which would inevitably involve you rooting around in the dirt and leaf litter for weeks in West Africa or the tropical Americas…because those are the only places they are found…and infrequently, at best), the hooded tickspider would probably yield more disappointment than colon-emptying terror. Truthfully, they aren’t much to look at if you aren’t familiar with what to look for. You won’t likely find anything even rivaling the size of the nail on your pinky finger, and they have all the brash coloration of a burlap sack. A captured, tiny, soil-caked hooded tickspider, curled into a defensive, ball shape, would be virtually indistinguishable from your common garden spider to the untrained, non-arachnologist eye. However, if you were to take a closer look, you would quickly find that the pathetic, trembling critter in your hand appears to be missing something relatively important. I can already hear the exasperated groans coming from the readership of this entry. Sea spiders? Seriously? Why, arachnophobes the world over sigh, are spiders not content to just stay where they belong; many miles away from any potential interaction with my relatively exposed, swimming body? Need they go out of their way to ruin my summer vacation at the beach too? 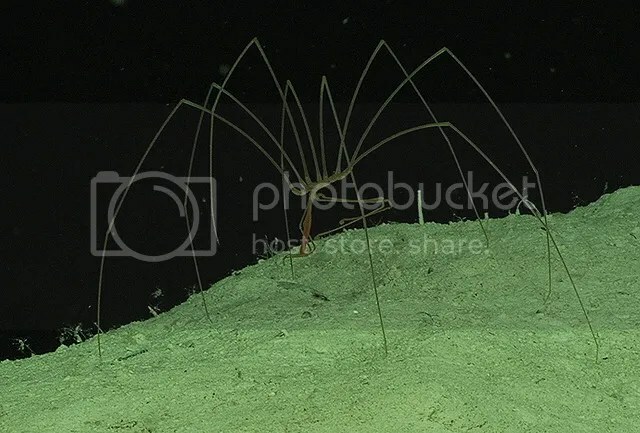 Why do there have to be marine versions of our creepy, spindly-legged friends, especially when we already have sea snakes, saltwater crocodiles, and what are the equivalent of massive “sea wolves” patrolling the briny depths? Perhaps, given the unsettling, lanky body shape of the sea spider, reminiscent of the daddy longlegs clustered in the dark, dusty recesses of our garages, it provides little comfort to say that these animals are not what their common name suggests. In the same way that “sea cows” are not actually cattle equipped with flippers, and “sea wasps” aren’t really our delightfully sting-happy, land-lubbing acquaintances finding a new home beneath the waves (a nightmarish scenario if there ever was one), sea “spiders” are not simply spiders with water-proof webs and an appetite for calamari. They are something altogether different, belonging the taxonomic class Pycnogonida (meaning “thick knees”, perhaps referring to the shape of the joints in their segmented legs, or a cruel high school nickname for the group). This class is currently allied within the arthropod group known as Chelicerata, which does include arachnids; but, these “sea spiders” are, as previously mentioned, not arachnids themselves. However, even this classification may not provide enough recognition of the pycnogonid’s unique pedigree. There have been some recent studies (from both molecular genetics and evolutionary development angles) that suggest that sea spiders are not nested alongside arachnids at all, but instead are a part of a much older offshoot of the arthropod line…and are potentially the only surviving, highly-derived representatives of some of the first groups of arthropods to evolve (perhaps more closely related to enigmatic, extinct animals from more than half a billion years ago like Anomalocaris). If this is the case, then the pycnogonid lineage is effectively among the oldest animal groups on the planet. Yes, no matter which classification assignment is correct, these critters occupy a unique branch on the great tree of life, and once someone takes a look at these pycnogonids up close, it becomes abundantly clear that these animals definitely deserve severely distinct classification, and have a tangibly alien quality to them. Seriously, pycnogonids are about as weird as it gets. Yes, arachnids; our eight-legged “friends” that cling to the shadowy, forgotten corners of our homes, under the damp seal of a rock, to the harsh, hot crust of the desert, and to their feathery webs, crafted overnight in our gardens. Arachnids, as a group, are not at all unfamiliar to us humans, and while, overall, the relationship between ourselves and these ubiquitous invertebrates is a bit complex, by and large in Western culture, arachnids are feared and reviled. 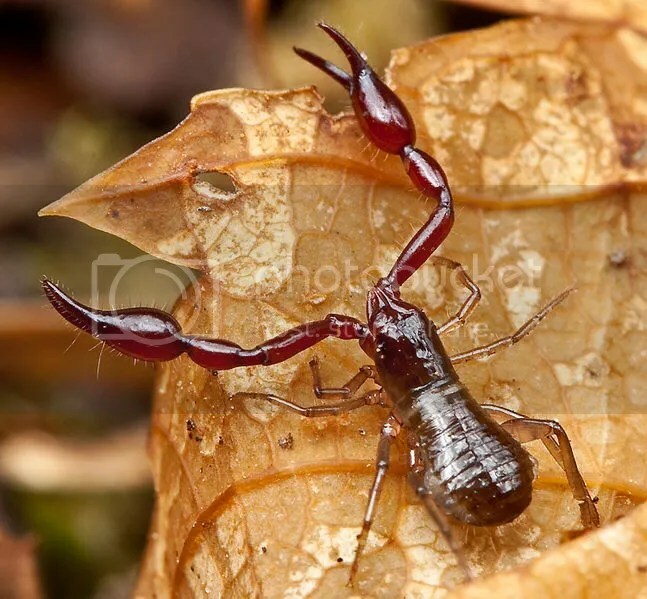 The most familiar groups of arachnids, spiders, scorpions, ticks, and mites, have earned reputations as some of the most terror-inducing, retch-provoking, and spine-shuddering animals we encounter in our day-to-day lives. We cringe at the thought of ticks embedded in our skin, face first, bodies inflating into pulsating balloons of blood. We attempt to ignore the unsettling fact that millions of microscopic mites graze on our dead skin cells, both separated from our bodies and still attached. We regard scorpions, prehistoric beasts made of plates, claws, stingers, and venom, as symbolic of the uninhabitable desert wilderness. Oh jeez. Are you guys happy now? In the same way that spiders and other more familiar arachnids are misunderstood and have unrecognized, underappreciated roles in our lives, the very definition and realization of what arachnids, in the broadest sense, actually are typically is met with limited experience and knowledge. For example, most people, if prompted to “name an arachnid” would answer firstly (overwhelmingly so) with ‘spider.’ Some might follow up with ‘scorpion’, or perhaps ticks and mites…pretty much everything with eight legs and without insect-like antennae that comes to mind. However, the diversity of arachnids extends far beyond the web-bound orb weaver bobbing in the breeze in your front yard’s hedges, or the chigger causing lovely, itchy welts to form on your skin. While these groups are the most speciose, and most common accompaniment to our daily lives (good or bad), there are entire taxonomic orders of arachnids that go quite completely, and miserably, ignored. This entry is to serve as the first in a series of explorations into the less-loved (or, perhaps, less-persecuted, simply out of unfamiliarity) arachnids. But first, perhaps it is helpful to start with the following question: what is an arachnid, exactly?